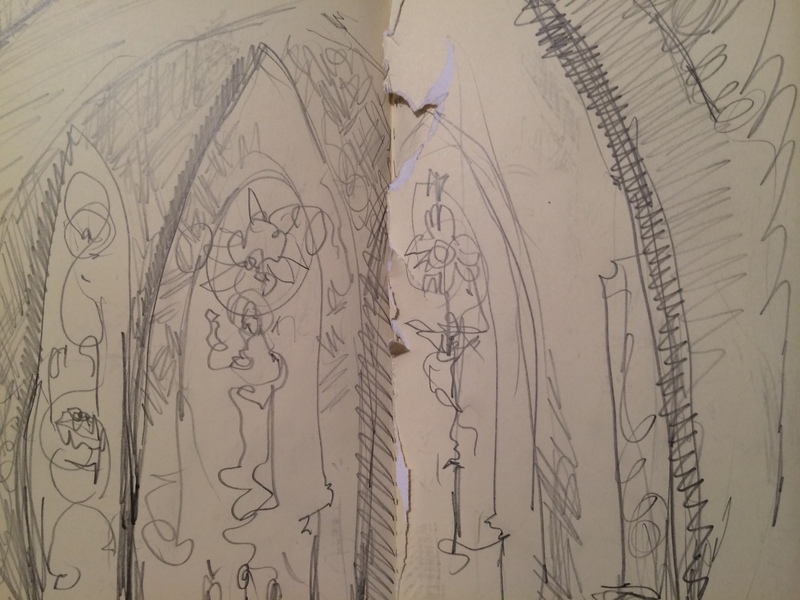 Yesterday I learned that my conversation with the stained glass window was only on hiatus. Several months ago we simply stopped talking. In the silence I thought the conversation was complete. For almost two years we had a weekly chat. I took lots of notes. I recognize that one is not supposed to have chats with windows – at least not admit to it. Master Marsh teased me saying, “There’s help for things like this.” I’ve decided that my conversation with the window is more ordinary than odd: plenty of people around the world talk to statues. Most of us have had silent reckoning with the sky. I’ve witnessed mechanics talking to their tools and bakers wooing their dough. Who hasn’t cursed the object of a home fix-it job-gone-wrong (plumbing regularly gets a tongue lashing from me!) or praised a project done well? Traffic gets a regular talking to. In this region, at this time of year, more than a few brides make deals with the weather. A soul in exchange for sunshine. Who hasn’t, in a moment of turmoil, looked inside themselves and asked for help? Who hasn’t uttered a quiet thank you or asked for guidance or made an appeal? Call it prayer, meditation, epiphany, catharsis, intuition, gut instinct, reading the signs, hearing the call, or communing with nature, it’s a conversation. I’m not the only artist – or scientist for that matter – that, in moments of flow, feels as if something bigger is coming through. In that sense, all of my paintings might serve as the record of a conversation with something bigger. Writers often speak about having the experience of the characters writing themselves, of following rather than creating. Following, surrendering, allowing, listening, responding, getting out of the way. Play the chords long enough and you no longer need to think about them. In the land beyond thinking about it, music becomes possible. It’s a conversation. 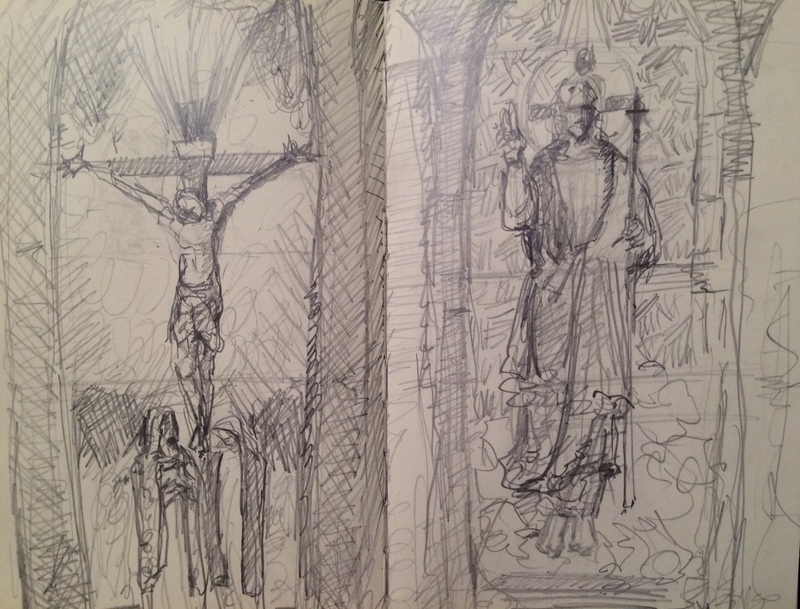 a quick sketch of all three panels: birth, death, and the middle way.